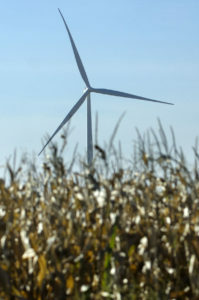 In addition to the 5 percent from solar, future plans call for South Sioux City to purchase 7 percent of its power from hydroelectric sources, another 7 percent from under-construction Green Star Gasifiers and 33 percent from Florida-based NextEra Energy Resources LLC via the Cottonwood Wind Farm, a project currently under construction in Webster County. 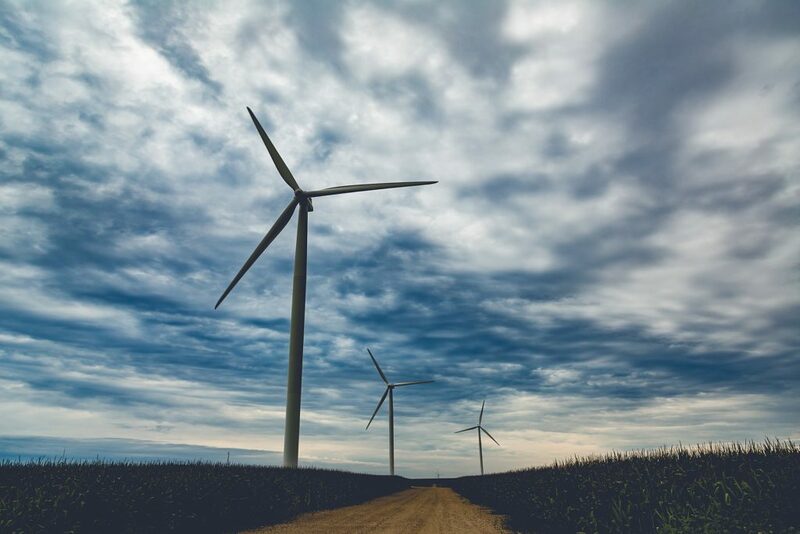 Once all of those entities are in place, 52 percent of the electricity used to power South Sioux City will have originated from renewable sources, which also brings with it significant cost savings, [City Administrator Lance Hedquist] noted. 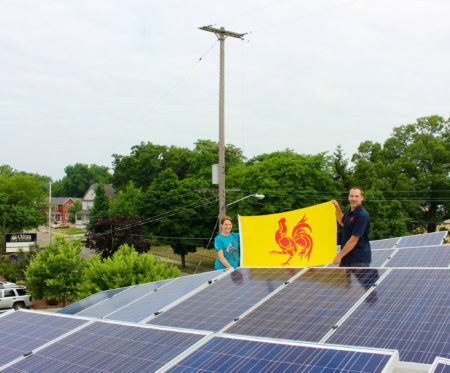 This entry was posted in Nebraska / Midwest News, NewsBlog and tagged Nebraskans for Solar, Sioux City Journal, solar energy development in Nebraska, South Sioux City's Exemplary Sustainability Initiative, South Sioux City's renewable energy development on June 21, 2017 by Helen Deffenbacher. 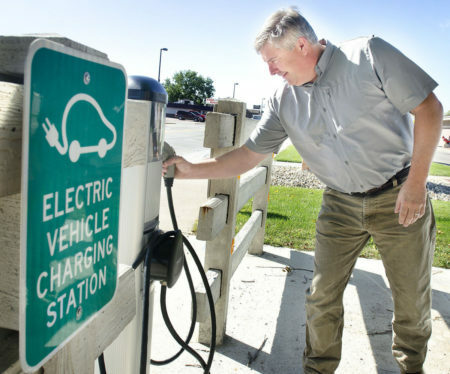 SOUTH SIOUX CITY — Lance Hedquist sees a bright future for renewable energy in South Sioux City. The latest shining example of the northeast Nebraska town’s increasing effort to reduce its carbon footprint is a 21-acre solar park south of the city alongside C Avenue comprised of more than 1,200 solar panels. “We started up operation in January of this year,” Hedquist, the longtime city administrator, said . . . The city is working with the South Sioux City Community Schools system to also make the solar park a learning opportunity for the system’s 3,850 students. Interestingly enough, we are also putting in monitors in all of our school systems, so grade school kids or high school kids can see how much is being produced at any given time,” Hedquist said. Click here to continue reading. 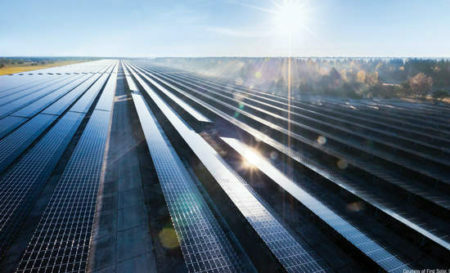 This entry was posted in Nebraska / Midwest News, NewsBlog and tagged Nebraska communities' solar development, Sioux City Journal, SolarCity, South Sioux City's solar project on March 19, 2017 by Helen Deffenbacher. 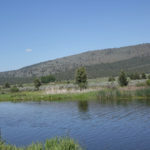 About 5,500 acres of the [Swan Lake Valley] is part of Edgewood Ranch. Lauren Jespersen’s family has been on this land since the 1970s, farming about half of it and making pellet livestock feed. But like many farm families, the Jespersens are trying to ensure their futures by doing more with their land. “It’s hard to make a living in agriculture anymore unless you are an extremely large operation,” Jespersen says. Like a growing number of farmers on the sunny, windy eastern side of the Cascades, they’re getting into the business of renewable energy. For Jespersen, it’s an emerging niche of the renewables market: large-scale energy storage called “pumped storage hydroelectricity.” At its very core, pumped hydro is a giant water battery. Read the entire story here. Hydropower Vision: A New Chapter for America’s 1st Renewable Electricity Source.. Two years in the making, the report offers pathways for tapping into hydropower’s potential to increase installed capacity by nearly 50 GW by 2050. 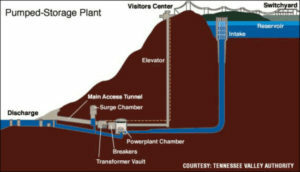 Visit the Energy Storage Association’s website to learn more about Pumped Hydro Power and other energy storage technologies: Solid State Batteries, Flow Batteries, Flywheels, Compressed Air Storage and Thermal. See Also: Applications of Energy Storage Technology at this website. This entry was posted in Nebraska / Midwest News, NewsBlog and tagged Energy Storage Association, National Hydropower Association, NET - Nebraska's PBS & NPR Stations, PBS News Hour, renewable energy development nationally & locally, Report: Hydropower Vision, Sioux City Journal, South Sioux City's hydropower project, U.S. Department of Energy on October 7, 2016 by Helen Deffenbacher. GRAND RAPIDS, MI – Brewery Vivant is tapping the sun to produce its beer. There are now 192 solar panels on the above Grand Rapids brewery and adjoining pub. The 54Kw rooftop system is expected to produce 20 percent of its energy needs. The rest will come from renewable energy purchased through Consumers Energy and its Green Generation program. Continue reading. 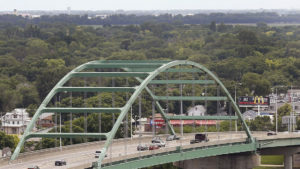 This entry was posted in Nebraska / Midwest News, NewsBlog and tagged Charlotte Business Journal, Des Moines Register, Duke Energy, Iowa Public Radio, Ls Vegas Review-Journal, MLive, Sioux City Journal, solar energy development in the Midwest, Tri-State Neighbor, USDA Rural Energy for America Program (REAP) grants on July 12, 2016 by Helen Deffenbacher.